Who doesn’t love the idea of heading off on a family vacation? Not only is it a chance to escape from the everyday routines, but it is also a chance to spend some quality time together as a family unit. The trouble with family vacations is, no matter how great they are, they can be costly too. 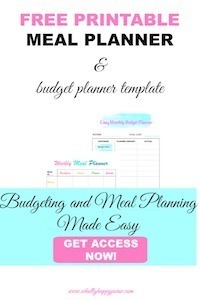 If your budget is already pretty stretched then you may worry that you can’t afford it. Rather than resigning yourself to another year without a family break, it is time to think about ways that you can save money for a family vacation instead. With this in mind, I have put together some of our favorite ways to save money for a family vacation. So without further ado, let’s dive right in! Having a particular place that you put your money into makes it much easier to save for a vacation. Why not set up a vacation savings account that is dedicated to saving up for this break, and then make sure that you put away money on a regular basis, and that it is not easy for you to dip in and take money out. You can also try setting up automatic payments into your vacation savings account. That way you don’t have to remind yourself to put some money away every month. You may think that it is impossible to have any spare cash each month that you can put away for a vacation, but this isn’t the case. In fact, you may be surprised by how much budgeting can help. Look at the things that you have to pay out for, and those things that you are paying out for that you want. Think about the things that you don’t need to pay out for and cut them out. Doing so will save you a good amount of money each month. Are you the type of family who always has to go to the stores? Do you buy dinners on the day? If you do, then it may be time to start planning meals. Not only can this help with eating healthier meals, but it also helps with reducing food wastage and saving you money too! I’m a huge fan of planning meals. It cuts down stress too because you don’t have to worry about what your family will be having for dinner every single day. Low-stress levels for you and more money for the family vacation savings account. Another way you can save money for a family vacation is to cook in bulk. Not only is it a good idea to try planning meals, but it is also a good idea to find other ways to cook them. Cooking in bulk is a great way to prepare meals that you can freeze for another day. A slow cooker is an ideal tool (I cannot imagine my life without one of these) for this as not only is it great for cooking larger portions but it is relatively easy and hassle-free too. We all have things around our homes that we don’t need but don’t have time to sell. If you want to have some money for a family vacation, then the time may have come to part with these goods. Remember, if you are not using it, then there is no point having it in your home. Not only this, but it may also be useful to someone else. You can sell stuff by organizing a garage sale or perhaps using the Poshmark App too! Sometimes, despite our best efforts, it can be hard to save money. This is when it is a good idea to think about ways to make more money rather than save money. If you can drive and don’t mind taking people in your car, then why not become an Uber driver? Not only is this easy to do, but you can make yourself some extra money in your spare time too. It will surprise you to learn just how many people waste money on gym memberships every month. Even if you are the type of person who goes to the gym regularly, there are ways that you can stay fit and not pay out all that money every month. Why not check out some of the excellent YouTube workout videos or perhaps even make your own gym in a spare storage space and then work out from the comfort of your home. Just by trying these simple ideas, you can find in no time at all that you have saved yourself some money and that you have enough to take your family somewhere lovely where you can all be together. And that’s it! If you have any questions regarding tips for saving money for a vacation or know of any other great ways to save money for a family vacation, let me know in the comments section below! How do you pay for your family vacations? I would love to hear from you! Some great tips here! A really good one I agree is cooking in bulk, cooking in general just saves a lot of money compared to the temptation of ordering out!